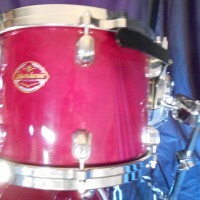 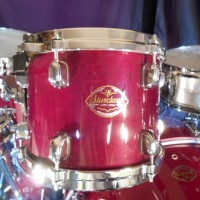 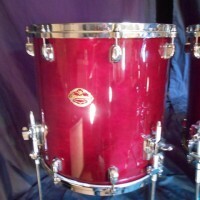 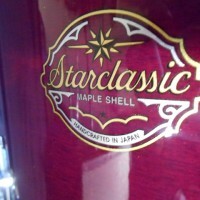 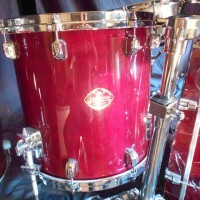 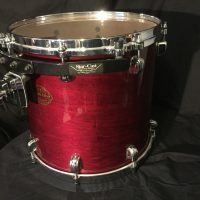 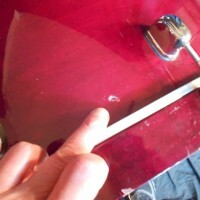 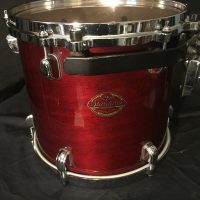 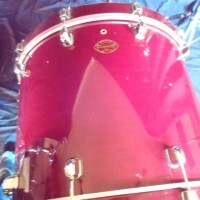 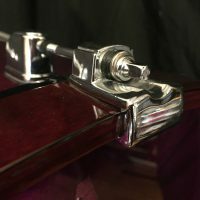 Starclassic maple, purple transparent lacquer, 24 bass, 22″ bass, 10,12,12,14″ rack toms 14 and 16″ floor toms. 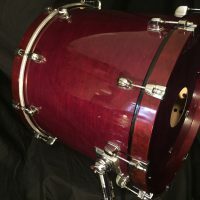 A total of nine drums!! 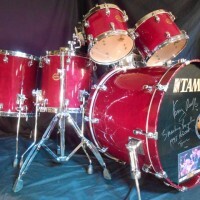 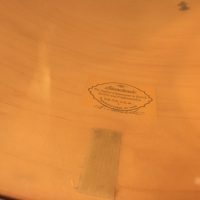 Aronoff generally used 12 and 10″ mounted toms but switched to 14 and 12″ mounted toms with the Smashing Pumpkins. 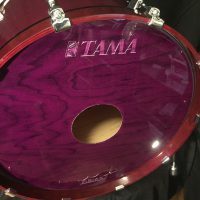 Used on numerous tours and recordings including 1998 Smashing Pumpkins “Adore” tour and Melissa Etheridge’s 1999 “Breakdown” tour. 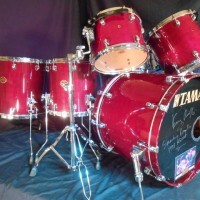 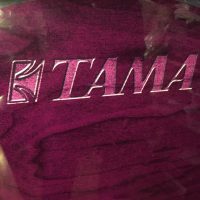 See the set in action in the videos below. 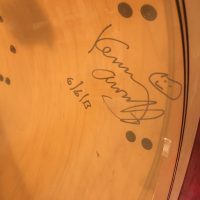 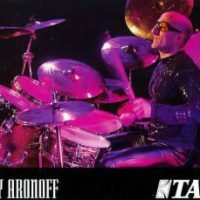 Acquired directly from Kenny Aronoff. 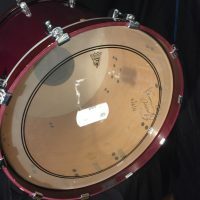 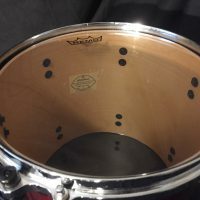 COA, 24″ bass logo head and 22″ bass shell signed by Aronoff.